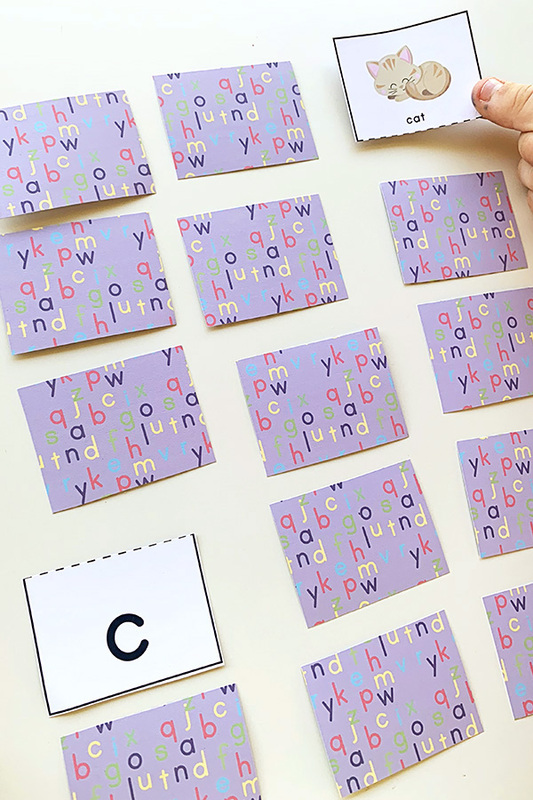 This printable alphabet matching puzzle is a fun tool for helping children to identify the initial or beginning sound of a word corresponding with each letter of the alphabet, and to them match it to it’s corresponding letter, an important phonemic awareness skill for pre- and early readers. 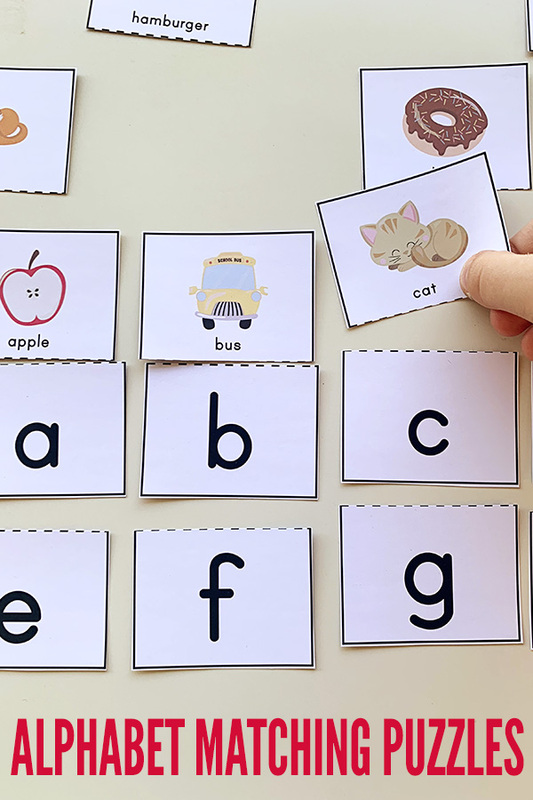 For more information about phonemic awareness, be sure to check out the explanation accompanying our phonics matching game. 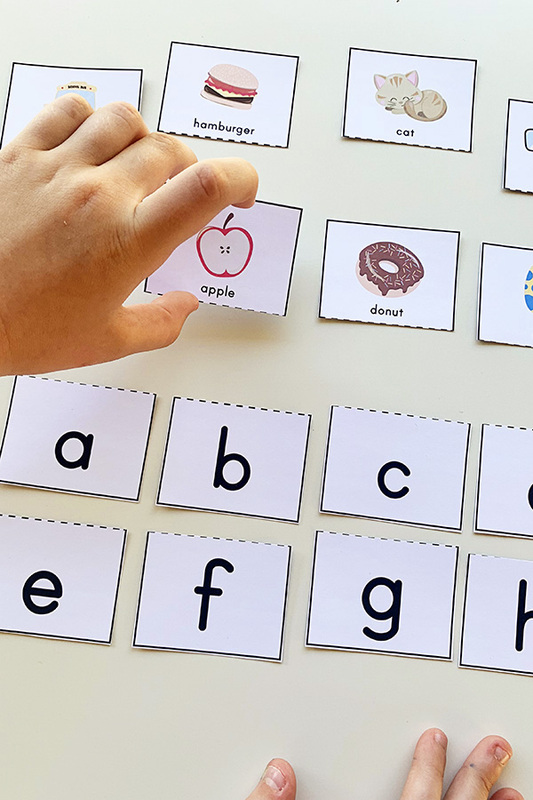 First decide how many of the letters your child will start with. The complete set of 26 letter and picture cards may be too many, depending upon the age and development of your child. 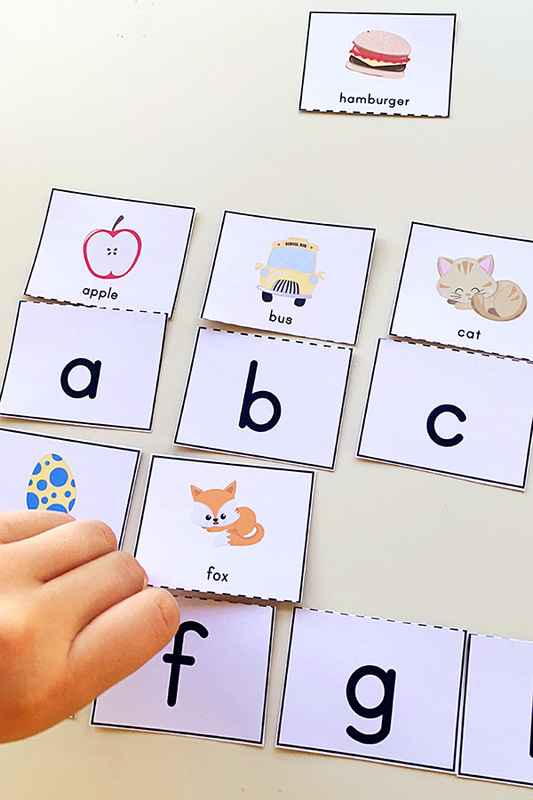 You could start with the game cards that correspond to the letters of your child’s name, or choose just five to ten letters to explore each time you play. To play, mix up the pieces, displaying them face up on the table top – I like to line up the letter cards in alphabetical order and then mix up the picture cards. Invite your child to choose one picture card to begin. Ask them to tell you the name of the object shown on the card. Ask them to tell you the beginning letter sound they can hear at the start of the word for the picture. Then invited them to find the corresponding letter card and match them together. Continue matching the picture cards with the letter cards until they all have matches. This is a fun extension for children who are familiar with the matching game above. It’s also fun for small groups of children to play together. Before starting play, lay all of the cards (both letter and picture cards) face down on the table. Take it in turns to turn over just two cards. If the two cards chosen match (initial sound of the picture matches the letter), the player keeps the pair and takes another turn. If they don’t match, the cards are both turned back over again (remaining in the same place). You’ll need to watch carefully to keep track of where the matching pairs are hiding! The game ends when all of the pairs have been found. The player with the most matching pairs is the winner. 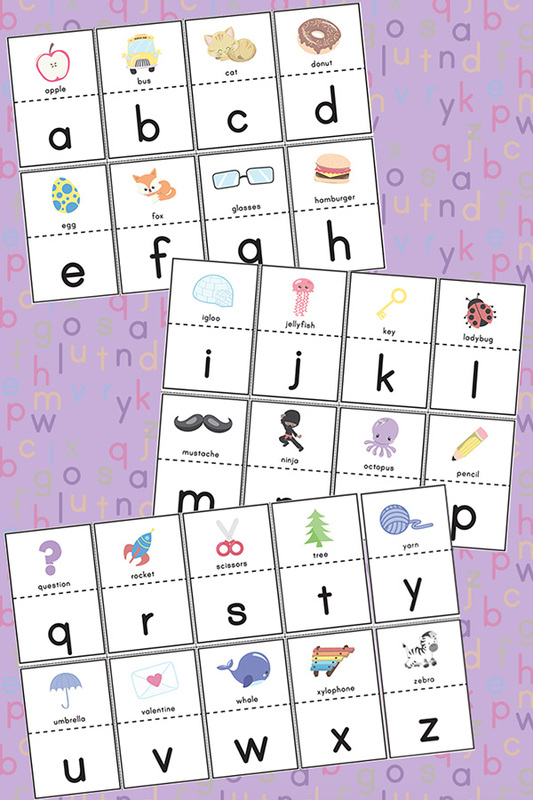 Click here to download: Alphabet Matching Puzzles. Save the PDF to your computer. Open the PDF and print the pages you require. When printing, select “Fit to printable area” (or similar) to ensure the page fits with your printer type and local paper size (these have been created at A4 size). I suggest printing onto card stock or matte photo paper.